Do you represent a South Dakota State Government Agency and wondering how you should archive all your web and social media content? Are you trying to determine what you need to do both from a legal and a technical point of view? Here’s a guide to the different Laws and processes you should follow. What Laws govern Records Management in the State of South Dakota? South Dakota Open Records Law S.D.C.L. 1-27-1 et seq. and provisions within their Open Meetings Law S.D.C.L. 1-25-1 et seq. govern social media and open records in the state of South Dakota – otherwise known as Sunshine Laws. The South Dakota Sunshine Law is a series of laws designed to guarantee that the public has access to public records of governmental bodies. Public records are all records kept by the relevant agencies, regardless of physical form. The state also offers OpenSD, a searchable website with many public documents available. S.D.C.L. 1-27-1 et seq. Do South Dakota State Records Laws include Website and Social Media content? 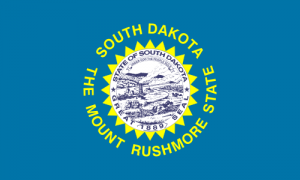 South Dakota Open Records Act covers records “of or belonging to this state, any county, municipality, political subdivision, or tax-supported district [and all subordinate agencies, boards, commissions, etc. ]….” and “include all records and documents, regardless of physical form….” SDCL § 1-27-1.1.; thereby covering social media and website records. Public records constitute information and records regardless of physical form “belonging to this state, any county, municipality, political subdivision, or tax-supported district in this state, or any agency, branch, department, board, bureau, commission, council, subunit, or committee of any of the foregoing…” SDCL § 1-27-1.1. In accordance with South Dakota state legislation, there is an obligation on agencies to create and abide by suitable retention schedules for records managed and created. SCDL § 1-27-13. Records must be easily accessible and reproduced, in electronic or relative formats. Records must be “maintained . . . in any searchable and reproducible electronic or other format . . .” suggesting that this will be allowed in practice. SDCL § 1-27-4. A requester cannot choose the format by which to receive electronic records SDCL § 1-27-4. How can we transfer website archives made with PageFreezer to the South Dakota State Digital Archives? PageFreezer exports all data on request in the original file format including the required metadata. This data set can be transferred by FTP or by other means to the South Dakota State or Agency Digital Archives.